Collyers are looking for Employers that are willing to take on 17-18 year olds for one day a week for work experience. T LEVEL INDUSTRIAL PLACEMENT PILOT YOUR CHANCE TO GET INVOLVED! As part of our preparation for launching the new T Level qualifications in 2020, we need to work with local organisations to develop the high quality industry placements that are a core component of the course. We are looking for organisations that would be interested in getting involved at the pilot stage. Your commitment would be to provide a placement (unpaid) for a 17-18 year old student one day a week, and to provide feedback to us at the end of the project. 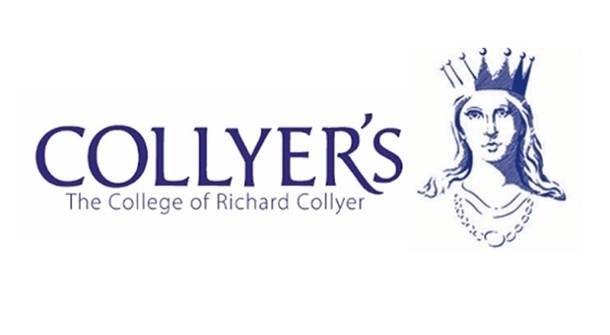 The students that have been selected for the scheme are hoping to progress to apprenticeships or paid employment after their time at Collyer’s. They are currently studying across a wide range of vocational areas (e.g. Business, IT, Travel & Tourism, Art & Design), so we are seeking a wide range of organisations to work with. You will have a named contact at Collyer’s for any questions or issues that may arise during the placement and will be able to terminate it at any time if things do not work out, or your business situation changes.